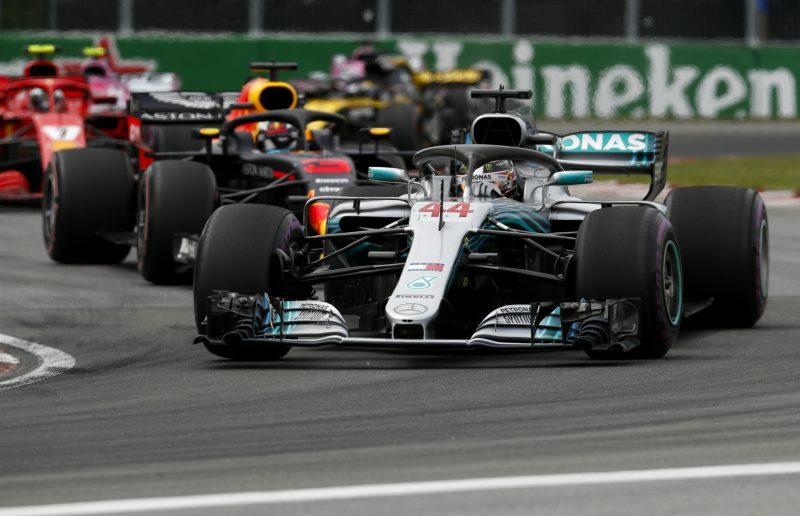 Lewis Hamilton was relieved to make the finish of the Canadian Grand Prix after being forced to nurse a down on power Mercedes for the majority of the race. The four-time world champion reported a power issue shortly after the start in Montreal which left him unable to match the front runners. Hamilton held his fourth place grid berth until the pit stops where he dropped behind the Red Bull of Daniel Ricciardo. The Brit rallied late in the race but finished fifth and witnessed his championship lead evaporate as rival Sebastian Vettel won the race to open up a one point advantage. Such was the severity of the problem, Hamilton feared that the power unit wouldn’t see out the race. Montreal was the seventh race completed by the engine with drivers prescribed three for the season. “I am super grateful that I finished. I’m just so happy that I finished,” Hamilton told Sky Sports F1. “From the start all of a sudden I was down on power and my engine was saying it was over temperature and I couldn’t get the temperatures down. “I just thought it was going to fail. “Every single lap I was kind of on the edge just waiting for that power to drop away and disappear, because it kept dropping and coming back. Mercedes non-executive chairman Niki Lauda revealed a temperature issue prevented Hamilton from racing at full speed. The Silver Arrows were hoping to bring engine updates to Canada before abandoning plans due to concerns over reliability. “Lewis had a temperature issue on his engine which he had to worry about and watch, and therefore could not go full speed,” said Lauda.